Hair salons don’t always have the easiest jobs when it is time to market their products and services. You can’t brand a specific haircut or hairstyle, nor is it possible to attach a business card to their new ‘do. Marketing a hair salon is possible, but ti does require your creativity be set to high, and your thinking cap attached firmly. 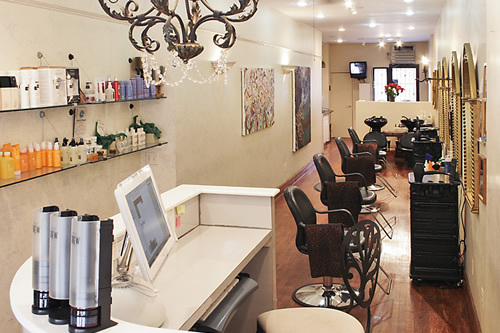 Text message marketing is the answer that hair salons have been searching for to conquer marketing. There are many reasons why this is the right way to promote your hair business. The ROI is amazing, there is a 90% open message and read rate and is the most preferred method of communication by individuals who want to hear from the brands and companies they love the most. In addition, it’s is also rather affordable so even smaller hair salons can use it with results. Text message marketing can be used in many different ways by the hair salon each proving to be just as beneficial as the next. Many salon owners use it to send their customers special deals coupons and promotions, and what better way to reach out and touch someone? These money -saving deals are certainly things that the customer will appreciate, and you’ll attract more people inside of the doors to your salon. Providing customers with important news and information is yet another way that text message marketing is used to help the hair salon. Whether it is the addition of a new member to the team, store opening or closing or something else, there isn’t an easier way to send the messages to everyone on your marketing list, or only a selected few. Here are a few more excellent ideas incorporating text message marketing into the scheme of things. These methods will drive more traffic into your business, to your website and more. The tried and true method of using business cards is still one that businesses use today, and having cards for your salon will benefit you in multiple ways if you allow it. For example, including your text message marketing club on the cards and how to join, you can gain more names and numbers while also promoting other features of the salon. Leave your business cards everywhere that you can, and hand them to everyone that you meet. We all need to get our hair styled and perhaps the card is all that it takes to get more heads in your chairs. Your blog can serve as a wonderful means of promotion. Here you can create useful posts for your readers talking about a variety of hair-related news and advice. Your blog is your space to say whatever you would like to say while entertaining and informing he reader and deeming yourself as an expert in the field that people should turn to for their hair styling needs. Making a client the center of attention at your salon can make them feel amazing and serve as a wonderful means of promoting what you are doing best. And, you can also list the availability of your text message marketing program on this promotion. While not as popular as it once was, email marketing is still a top contender for outstanding promotion. You can provide many of the same things as you can via text, but you can advertise it here as well.